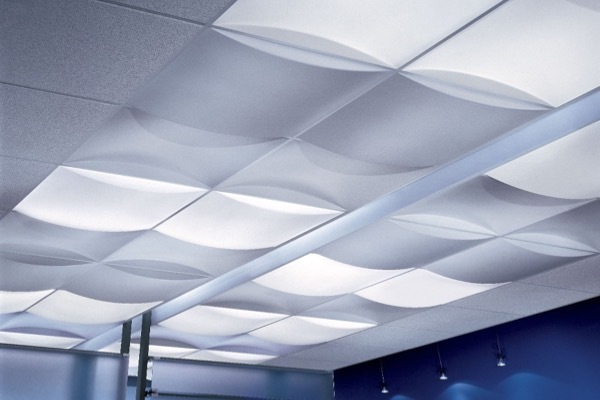 Enhance the acoustics and the define the space in your room with our unique acoustical ceiling clouds. 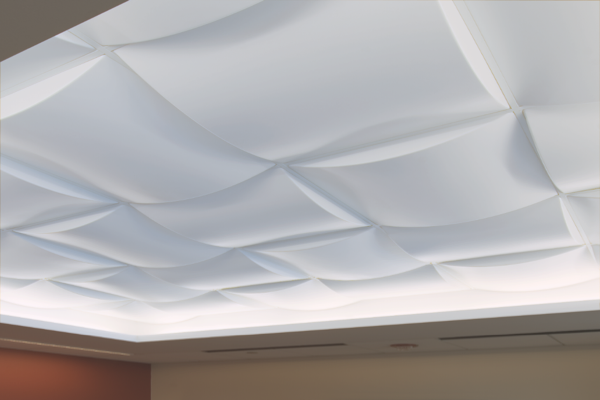 From standard flat panels in multiple sizes, to custom shapes to meet your specifications, acoustic cloud ceilings deliver in many shapes, sizes and colors. 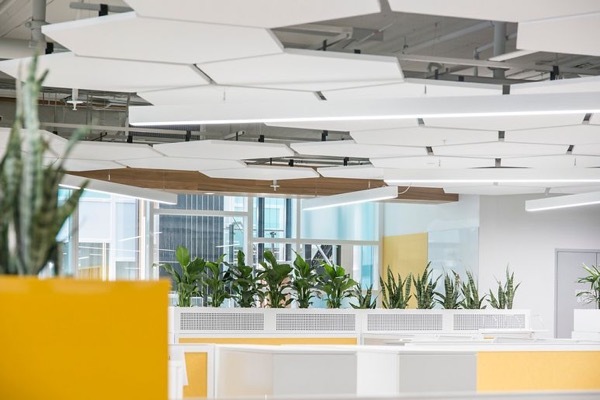 If you’re looking to go beyond the basics and completely transform the setting of your commercial space, this type of specialty ceiling is the way to do it. Hotel lobbies, medical facilities, offices, auditoriums and much more, ceiling clouds work great in many different commercial business settings. Acoustical ceiling clouds can be installed vertically or horizontally in ceilings to help achieve different architectural design goals. They come in a variety of materials, sizes and shapes so you can achieve that unique design your commercial setting is looking for. Cloud ceilings create a modern appearance, while also providing noise reduction and reverberation control. JDS Acoustics works with architects, contractors and property owners to achieve unique solutions for a wide array of commercial business types. JDS Acoustics installs and repairs acoustical cloud ceilings for commercial customers throughout Alameda County and the surrounding area: Contra Costa, Santa Clara, Sacramento, San Joaquin, San Francisco, San Mateo, and Solano. Our team works with all types of commercial customers such as offices, restaurants, hospitals, medical buildings, schools, commercial buildings, airports and more. Let's discuss your next Acoustical Ceiling Cloud project! JDS Acoustics, Inc. – Your source for Acoustical Ceilings, T-Bar Systems, Acoustical Wall Panels, and much more! Copyright © 2018 JDS Acoustics. All Rights Reserved.